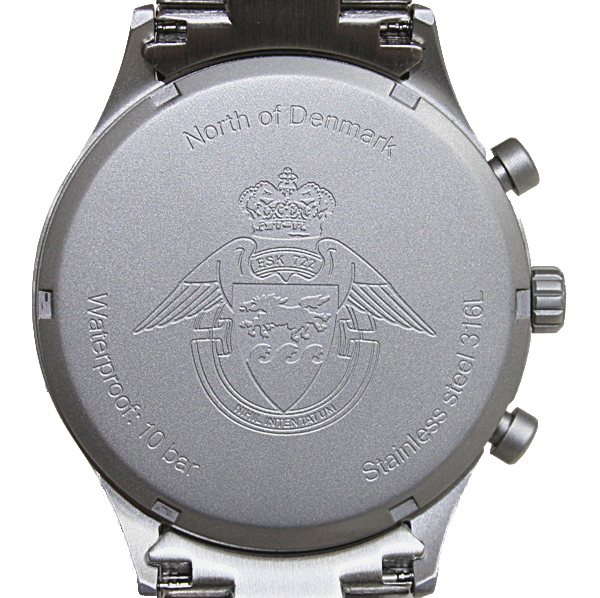 In April 2010 the SAR Squadron of the Royal Danish Air Force contacted pilotur.dk to have produced a number of pilots watches with custom designed dial and back plate. On the dial Odin's horse Sleipner in the Squadrons Coat of Arms should be a key design element. 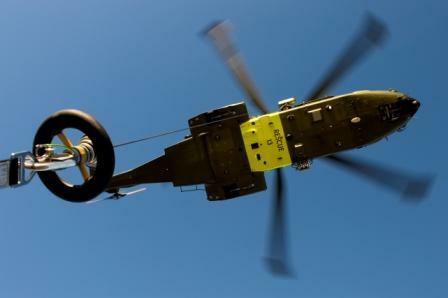 Also the squadron's motto "NIHIL INTENTATUM" - "No stone unturned", and a line drawing of Merlin helicopter should be included as design elements on the dial. The back should show the Coat of Arms, as depicted on the top right of this page. 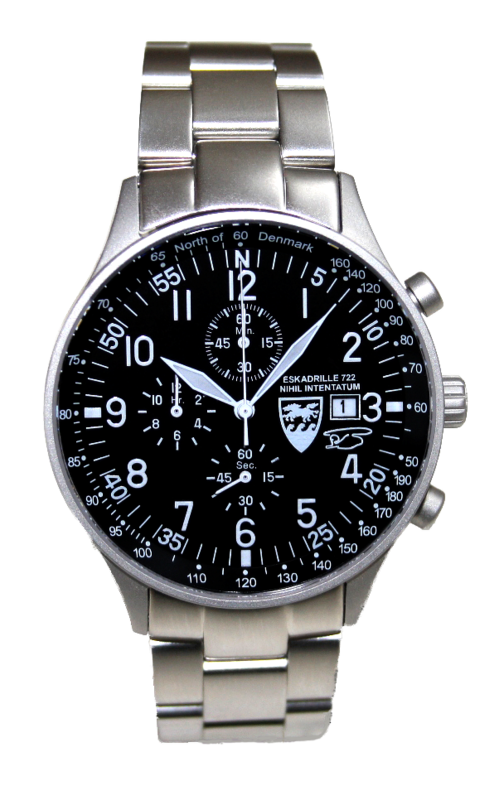 The final design was completed in August 2010 and the finished watches were delivered in December 2010. 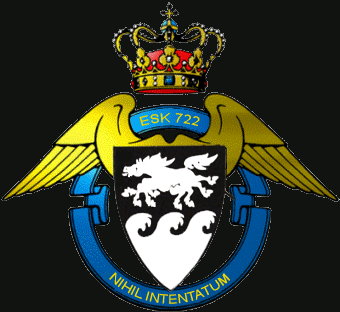 Read statement from ESK 722 Steen Tidmand.